Design A Castle Remodelers, LLC is a family owned and operated company servicing homeowners in the South New Jersey area with outstanding service. We offer the highest quality in materials, workmanship, clean up and customer service. All projects are executed in a professional and timely manner with owner supervision. Our expert installers will "WOW" you with outstanding finishing skills. We are honest, reliable and strive to give you the best job for your money. Contact us to set up a free in home estimate with the owner himself. No pressure sales tactics are used. We provide a detailed itemized estimate that is easy to understand. Our approach is explaining in detail all products we offer for the type of remodeling you are interested in and working up our best price for the type of work you choose. Most of our jobs come from referrals from our large customer base. Once you do business with Design A Castle you will clearly see a difference compared to other contractors. We have earned great ratings through team work and attention to detail. Find out what thousands of our customers already know, which is we are the best at what we do and we will save you money. Customer satisfaction is what we strive for, on every single job we take on. We will provide you with many references with local addresses that you can check out first hand to see the quality of our work prior to choosing final selections. 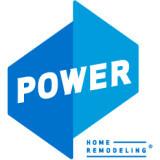 Power is far more than just a home remodeling company – it’s a dream-realization company. Whether you need replacement vinyl windows, roofing, siding, entry doors or attic insulation, when you partner with Power on your project, you’ll get a warm, professional, responsible company that will redefine your expectations for service and quality and turn your dream home into a reality. Don’t just take our word for it. Check out our customer reviews and testimonials below and see for yourself! Call (888) 736-6335 for a free home estimate and wake up your American Dream today. For service related requests, contact customercare@powerhrg.com. Power provides services in the following metro areas: Atlanta, Boston, Chicago, Connecticut, Dallas, Denver, Detroit, Houston, Long Island, Maryland/D.C., New Jersey, Philadelphia, and Tampa. Please visit <a rel="nofollow" target="_blank" href="https://powerhrg.com/coverage-area/">https://powerhrg.com/coverage-area/</a> for location details. We are experts in the installation of window, doors & siding. Our windows are from numerous quality brands including Andersen, Kolbe, Okna and SoftLite. We understand the investment you’re making when replacing windows and we make sure they are installed perfectly. We stand behind our work and we work with window manufacturers that stand behind their work as well. Taking pride in our customer service, we remain accessible even after we complete your job. We carry a stock of replacement parts for these windows or promptly order them when our customers are in need. When it comes to entry doors, we have you covered with quality installation of units that add beauty, security and thermal performance to your home. You want to be sure that the best care was taken to install a door unit that will continue to operate effectively for years to come. 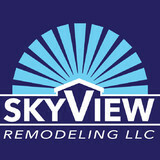 If you ever have a problem or concern you want to be sure that you chose a contractor that stands by their work. Our siding services are second to none. We use the latest flashing systems and installation methods when working on your home's envelope system. You are presented with a finished product that adds beauty and protection to the exterior walls of your home. MH Exterior Remodeling, LLC is a family-owned roofing & remodeling company in Amber, PA. We serve Berwyn, Blue Bell and a variety of surrounding areas. For over two decades, we have provided premier exterior home remodeling services for our satisfied customers. With a solid reputation for high quality and affordable products and services, many local roofing contractors and custom builders turn to us to handle their jobs no matter how large or small. An extensive selection of design options allows us to fulfill our mission to provide options that suit your needs. Serving PA, NJ, DE, NY and CT, Legacy Service is a leading installer of residential and residential roofing, siding, windows and wall panels. With over twelve years of experience in the residential installation and contracting business, we offer unmatched service and unparalleled craftsmanship for all residential needs. Our team, consisting of highly competent professionals and over 200 seasoned field workers, will work tirelessly to complete your residential project— from conception to project management to final output—utilizing top-quality materials and renowned manufacturers. Stucco Today is a Stucco Remediation and Repair company started by Chris McNamara in 1989. We’re all about raising the expectations homeowners in the Delaware Valley have for contractors. Just about all of our new clients come to us having had bad experiences with builders or contractors in the past. After all, their stucco siding has failed in some way, likely quicker than it should have. So we offer a different experience. We do stucco siding the right way, without cutting corners. And we guarantee our work. For 5 years. All of it. Try to find another stucco contractor like that! The siding of your home is a hugely important factor when it comes to first impressions; a damaged or mismatched exterior can cast a negative light over a property’s entire aesthetic! If you need new siding installed, or your exterior is in need of repair, repainting or replacing, a Philadelphia, PA siding and exterior contractor can help you out. What types of siding services do Philadelphia exterior contractors provide? Wood siding needs more maintenance than less-expensive, low-maintenance vinyl siding, but with proper care it will outlast vinyl siding, which can fade and crack over time. Your Philadelphia, PA contractor might also suggest fiber cement siding, which is fire resistant and termite-proof and can come with a warranty of up to 50 years. Find siding and exterior contractors in Philadelphia, PA on Houzz. Narrow your search in the Professionals section to Philadelphia, PA siding and exterior contractors. 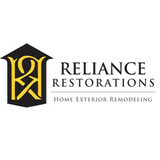 Find out how long a Philadelphia, PA exterior remodeling contractor has been in business, view portfolios, read reviews and get contact information.